THE INTERVIEW: The government is working on preventive measures to avert humanitarian crisis in 2019 – Somalia Humanitarian Affairs and Disaster Management director. (ERGO) – The Somali government and humanitarian agencies last week launched the 2019 Humanitarian Response Plan (HRP). The plan states that $1.08 billion is needed to stave off a humanitarian crisis in Somalia, following continued drought effects and other factors such as protracted conflicts in various parts of the country. Radio Ergo’s reporter in Mogadishu, Mohamed Abdi Hassan,asked Mukhtar Hussein Jim’ale, the director of Somalia’s ministry for Humanitarian Affairs and Disaster Management, what were the main focuses of the HRP. Mukhtar: The launch was aimed at sending a humanitarian alert – as you know Shabelle River has partially dried up as illustrated in the photos displayed during the meeting. Therefore, our aim was to shed light on those pressing problems. In recent years, we have been reacting to crises instead of coming up with pre-emptive measures to avert such cases. 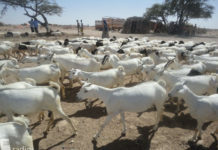 Mohamed: As we know, there has been severe drought over recent years, with rivers drying up, and there have been conflicts, livestock deaths, and people displaced. 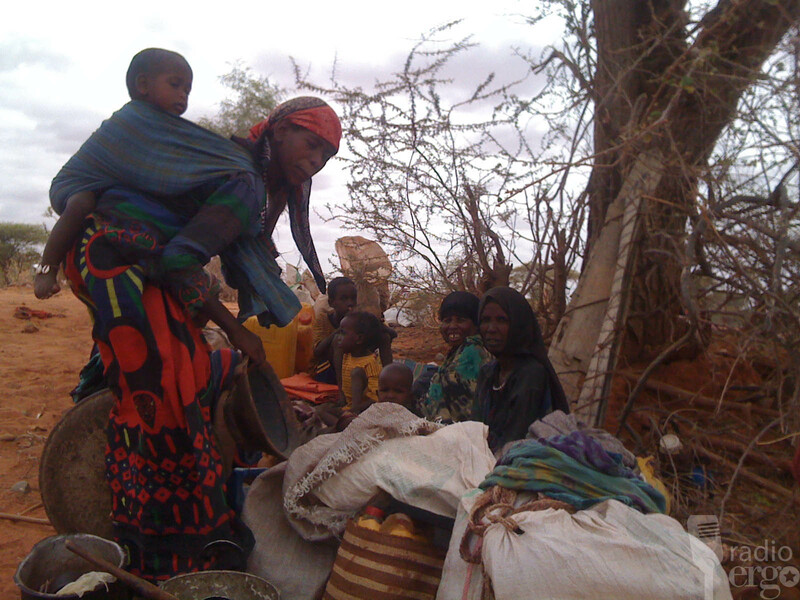 Do you know how many people have come to Mogadishu and its environs due to displacement? Mukhtar: Absolutely, yes, but right now we cannot say there is drought; this is just a forecast. We have observed drying up of rivers exposing crop farmers and pastoralists to possible risks. 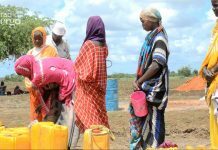 Initially, during the 2016-2017 drought, the ministry took part in data collection on those displaced by the drought and another committee formed by the government of former President Hassan Sheikh recorded the data. From 2016 up to now, the number of IDPs that have arrived in Mogadishu is 1.6 million. Mohamed: Is your ministry now warning of an influx of new IDPs? Mukhtar: Yes, it is. We are trying to prevent the problems that could lead to a new wave of IDPs. Therefore, we urge aid agencies in the country to execute their duties as required to help Somali people. It is better to assist people in their areas than supporting them once they are in IDP camps. Mohamed: Last Deyr season, many parts of Somalia did not experience enough rains and some rivers dried up three weeks ago. So how can people stay in their area if they are lacking their livelihoods? Mukhtar: Of course, we need to implement a full strategy for the country and as a ministry, we are working on the process of preparing that strategy. The ministry is also working on the National Resilience Strategic Plan which is meant to drive the country to a stage where it can withstand those situations and easily recover and hopefully, we will complete this within 2019. Mohamed: Apart from these warnings, as a ministry, what is your plan regarding the imminent challenges? Mukhtar: Yes, we have plans because we are the institution assigned to do this task. We have policies to reduce the impacts caused by these challenges. We have put in place a durable solutions plan for the IDPs.We also have two important directorates, namely Directorate of IDP resilience and human solutions and Directorate of Disaster Risk Reduction Management. These combined will help reduce the risks. In the case of emergency response, we also have the Directorate of Humanitarian Response and Preparedness, so the ministry will play its role. Mohamed: How do you get the information about the IDPs arriving in Mogadishu? Mukhtar: We are aware of their situation. Last Saturday we did an assessment on the outskirts of Mogadishu and the districts hosting IDPs. We were with the Minister for Humanitarian Affairs and Disaster Management and the assessment is still ongoing. Mohamed: It seems visiting the IDPs does not necessarily mean helping them. 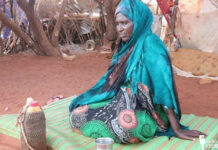 Only recently, three IDPs with disability died of hunger. What support strategies do you have for these people? Mukhtar: Even on our last visit we were carrying aid for a number of new IDPs who fled from Marka area and we are committed to do our best to help these people.